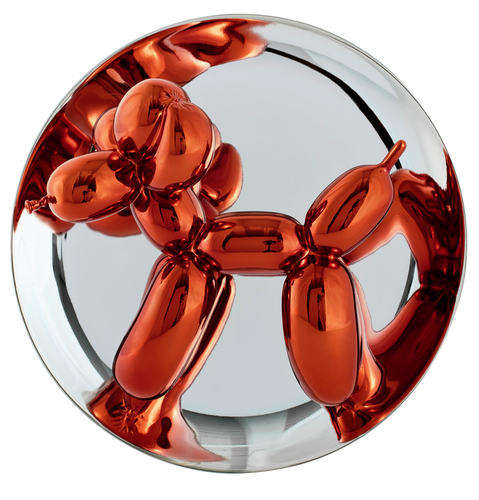 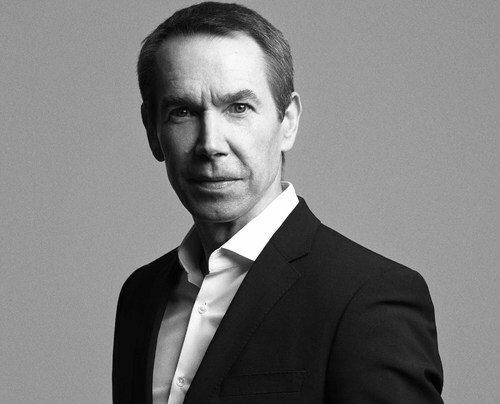 Since his first solo exhibition in 1980, Koons’s work has been shown in major galleries and institutions throughout the world. 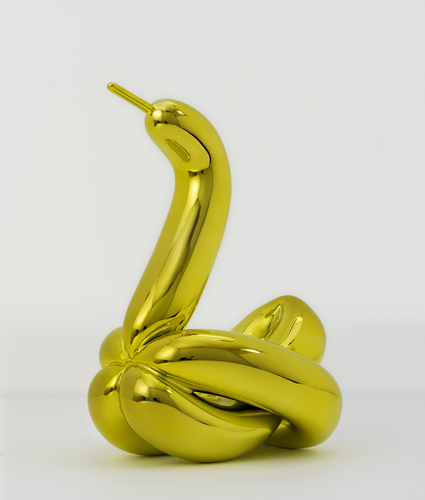 His work is the subject of a major exhibition organized by the Whitney Museum of American Art, Jeff Koons: A Retrospective (June 27 - October 19, 2014), which traveled to the Centre Pompidou Paris (November 26, 2014 - April 27, 2015) and the Guggenheim Bilbao (June 12 - September 27, 2015). 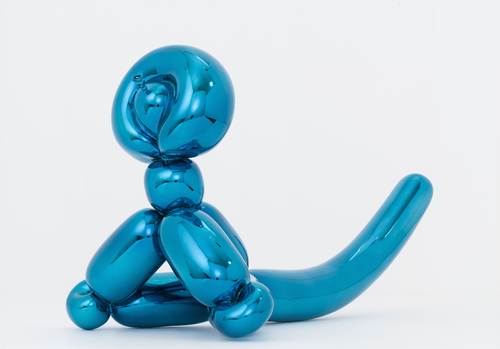 His public sculptures, such as the monumental floral Puppy and Split-Rocker, have captivated audiences at Rockefeller Center New York, Chateau Versailles, the Papal Palace Avignon, and the Guggenheim Bilbao. 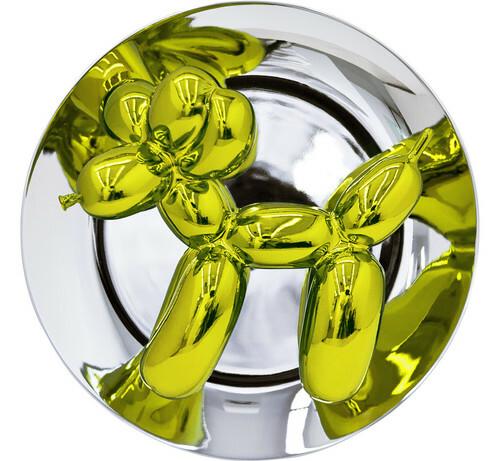 Current exhibitions in Europe include Jeff Koons in Florence installed at Palazzo Vecchio and Piazza della Signoria, Florence, Italy (September 25 - December 28, 2015) and Balloon Venus (Orange), which is currently on view in the rotunda of the Natural History Museum Vienna, Austria (September 30 - March 13, 2016). 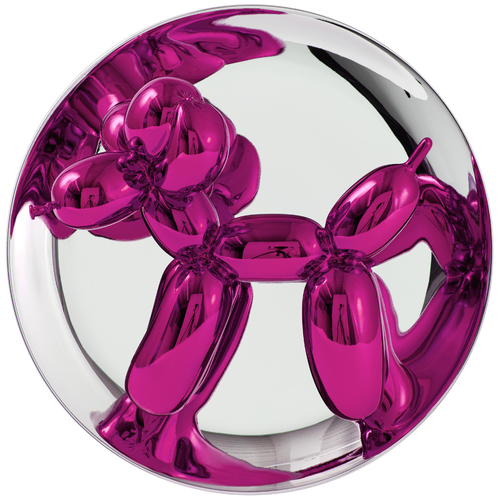 Gazing Ball Paintings, Koons’s most recent series, is on view at Gagosian Gallery, 555 West 21st Street, New York, through December 23, 2015.